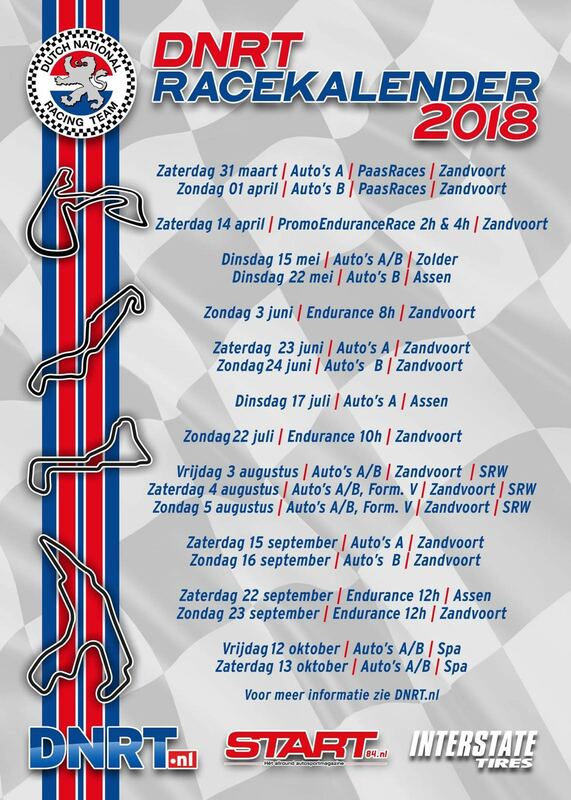 Season 2018 is looking to be an interesting and varied racing season, with exciting tracks like Spa-Francorchamps included as well as a couple nice endurance opportunities. The DNRT 2018 calendar can be found below (we compete in the Auto’s A class) as well as under the calendar tab on this website. Race Calendar Season 2019 now available!